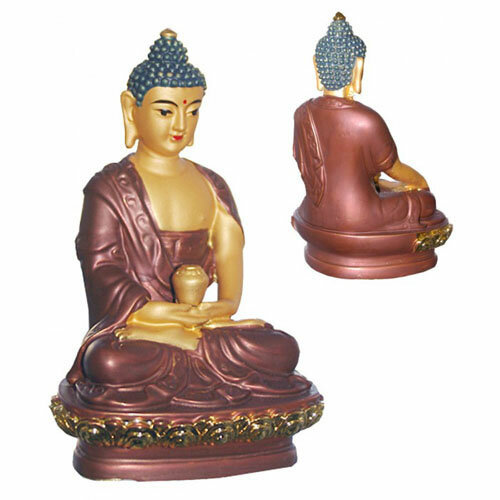 Amitabah Dhyani Buddha statue - the Buddha of Infinite Light. 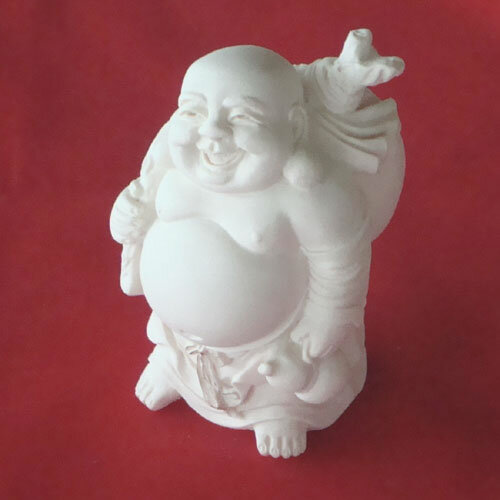 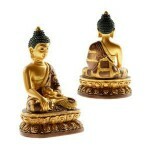 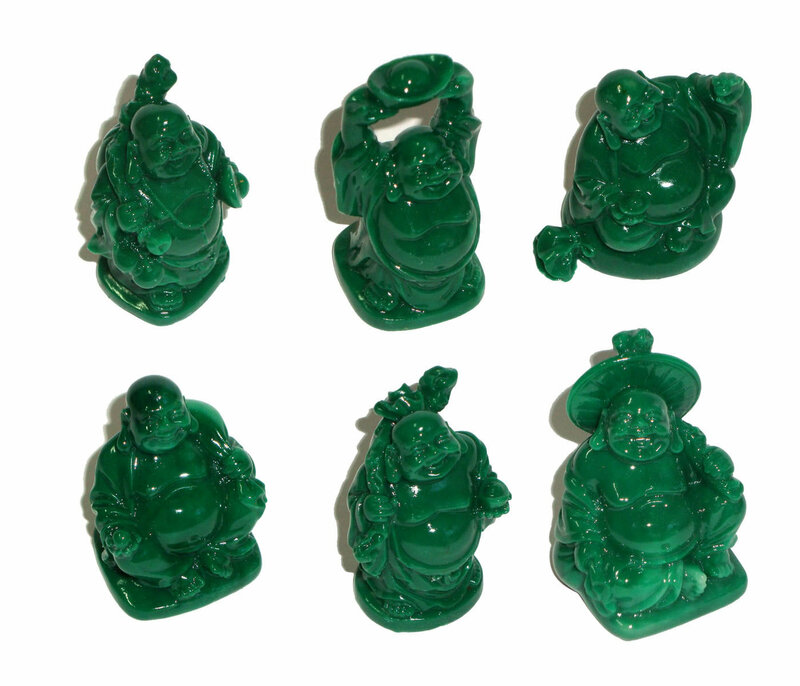 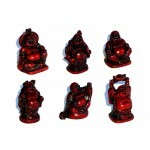 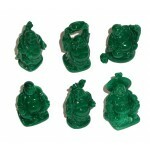 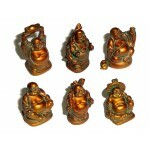 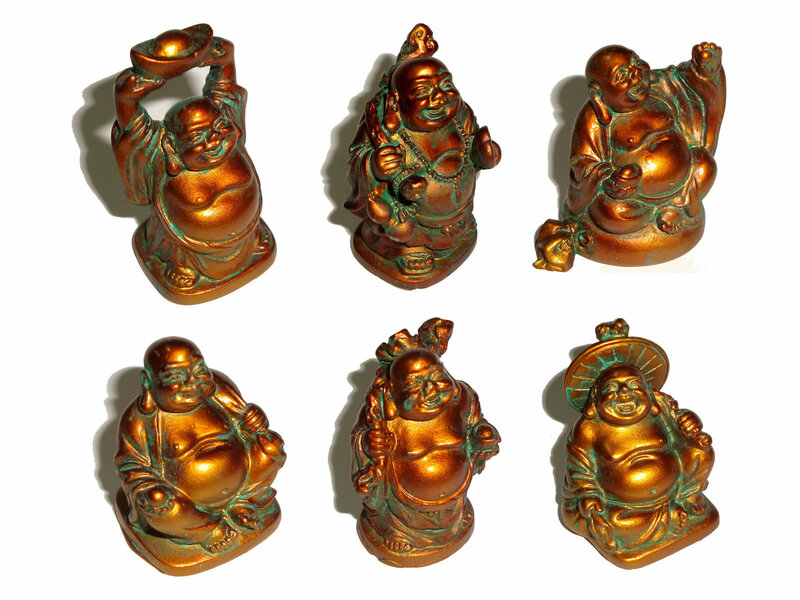 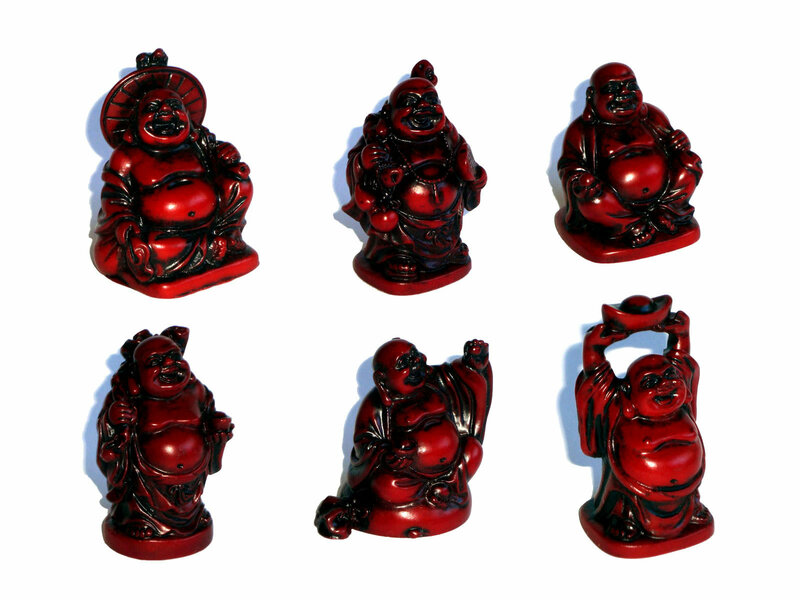 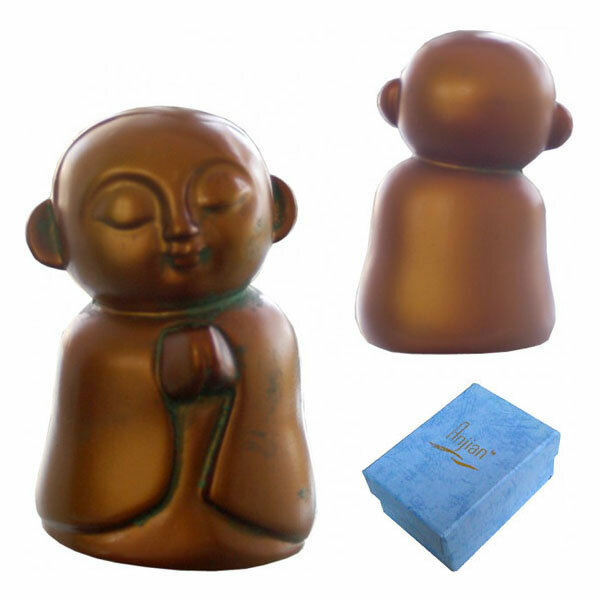 The Amitabah Buddha is said to bring calm, peace and a contented life. Jizo statue, Japanese Bodhisattva standing and praying. 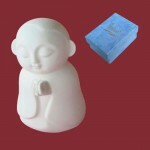 Jizo represents child protection. There are many Jizo temples in Japan. 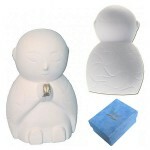 This statue is made from crushed marble and resin composite and is displayed in a beautiful gift box with story. Laughing Buddha carrying a money sack statue. 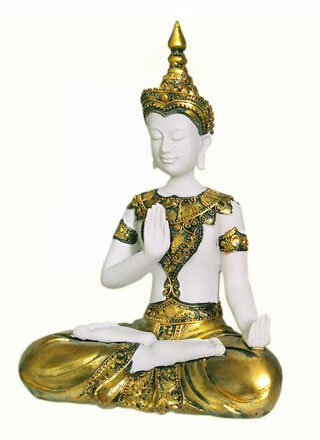 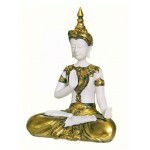 Thai Meditating Buddha statue - white with golden robes and golden crown.